What happens to a majority of new bloggers is the experience of learning how WordPress.com works. You find out that you don’t have complete control over your site. Or maybe you have read about WordPress and understand that you want to host your own site with complete control. Lets talk about how to do this. WordPress is a blogging platform that crosses into Content Management System (CMS). Blogging platforms allow users to create articles in a timeline fashion. Acting similar to a journal or note taking format. CMS’s are different because they are primarily built for keeping sites organized that have lots of different static sections. WordPress offers a little bit of both (posts are for blogging & pages are for static content). 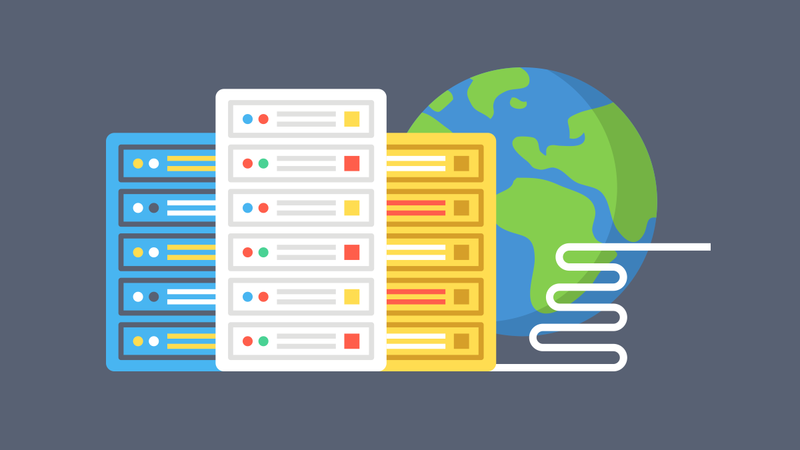 Web hosting is a fairly simple concept. You buy a permanent address for people to find you called a domain name (also known as URL). This address points computer browsers across the internet to the place where your site is stored (the web host). The web host stores your website files (HTML, PHP, CSS etc…) so that they can be accessed from anywhere at anytime on their servers. Servers are just like any computer but are optimized for running file types that, when accessed, present viewers with your website. The good news is, once you buy hosting, you rarely have to worry about how this process works. It’s their job to take care of it. This used to be harder, but because of WordPress’ success as a platform many hosting companies have made it incredibly easy to set up a WordPress site. The best way for a brand new user to set up WordPress is to call the hosting company and ask them to help you set up the new site. They should be willing to help you, especially after you buy an account with them. You can also try installing WordPress using our guides (it’s pretty easy!). The best way to get WordPress looking good is by finding a template. Templates give you a one click way to turn your site into something great. For beginners its better to spend time finding a good template because you may not have the expertise to customize many aspects of the site alone. If you have money for a designer or feel like taking on graphic design, then you can select a bare-bones template and add you’re VERY OWN touch. It’s inevitable that you will need more help after you get WordPress set up. The good news is, there are tons of users out there who have gone through exactly what you’re going through. Always try posting in the WordPress.org Forums or simply ask a question on twitter and hashtag #wordpress. People are excited to help. Why Is Hosting WordPress Better? Is self hosting better for everyone? Not necessarily. You can still be a successful blogger without self hosting. Most companies or bloggers with a brand name need to separate themselves by the way the site looks. For some industries branding and style does not require as much design creativity.